Few months ago i had a comment on one of my posts, a lady was complaining about having facial hairs & she was so tired of it all. I couldn't just reply because i didn't know anyway to solve that issue apart from shaving / cutting it off. So i did some researches and came across some effective products used by mostly females world wide. So i came across these lotions few days ago & they seem to be the best rated on the internet, I decided to put them up on this article just to educate you guys and maybe help anyone else having issues with hairy skin. 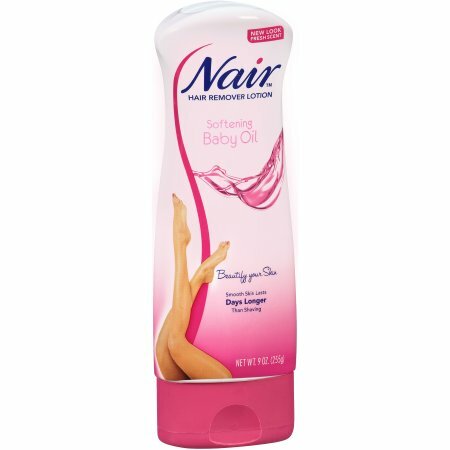 Nair is the #1 hair removal brand and this 3-pack Nair Cocoa Butter Lotion is the brand’s #1 hair remover lotion for both women and men. Ideal for the legs and body, this cocoa butter hair removal lotion takes only about 3 minutes to work. It features a fresh scent and can soften your skin with rich cocoa butter and Vitamin E. It can quickly and effectively remove even the most stubborn hair, and leave you with results that last much longer than shaving. As Amazon’s #1 best seller in face and body hair removal cream, this Veet Gel Hair Remover Cream is effective even on short hair. Veet offers various different hair removal creams, which are consistently chosen as the best hair removal creams by various independent review sites. Along with removing any unwanted hair on the legs, knees, ankles, arms, underarms, and bikini line, it can also leave the skin perfectly moisturized, silky, and soft. The sensitive formula contains aloe vera and Vitamin E to help repair and soothe the skin. You can achieve smooth, soft, hair-free skin, with no nicks and bumps, in just about five minutes. It quickly penetrates the skin and dissolves hair closer to the root for smoothness that lasts up to twice as long as shaving. The dermatologist-tested cream comes in a pump bottle with a convenient spatula for easy application and removal. Backed by over 80 years of experience, VEET offers a range of easy to-use creams and waxes, chosen by more than 30 million women every year. 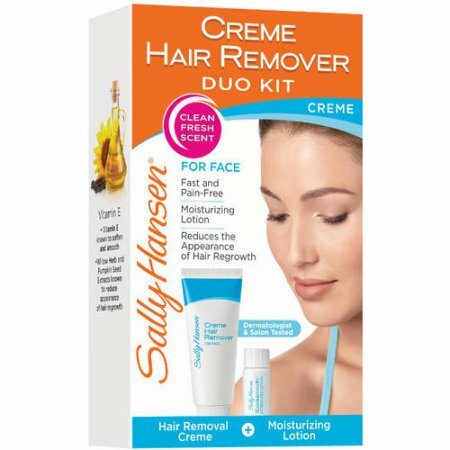 This affordable Sally Hansen Cream Hair Remover Duo Kit has remained one of the most popular pain-free hair removal creams for the face, upper lip, and chin area with women around the country for years. Dermatologist and salon tested, the moisturizing lotion quickly dissolves hair and stubble below the skin’s surface. After using the gentle hair remover cream, you can use the extra care skin conditioning lotion to soothe and moisturize the skin. The kit is also enhanced by collagen and Vitamin E to soften and smooth the skin, as well as willow herb and pumpkin seed extracts to reduce the appearance of hair regrowth. Many users found that the vanilla scent is much better than most other hair removal products. 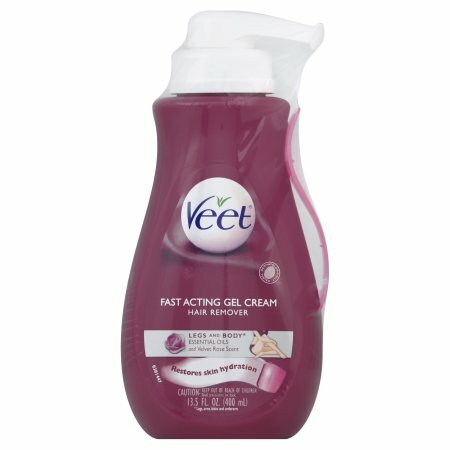 Veet offers various different hair removal solutions, which are consistently chosen as the best hair removal creams and waxes by various independent review sites, and this Veet Fast Acting Gel Cream is ideal for the legs and body. It offers a sensitive formula, enriched by aloe vera and an effective blend of essential oils and velvet rose to leave your skin hydrated, smooth, and delicately scented. It can also lead to less irritation, even for people with sensitive skin. This product does not include a spatula, so after leaving an even layer of the cream on your skin for 5-10 minutes, simply wipe the cream away with a wet cloth. This Veet product received top marks from customers and various review sites, which dubbed it the all-around best hair removal cream. 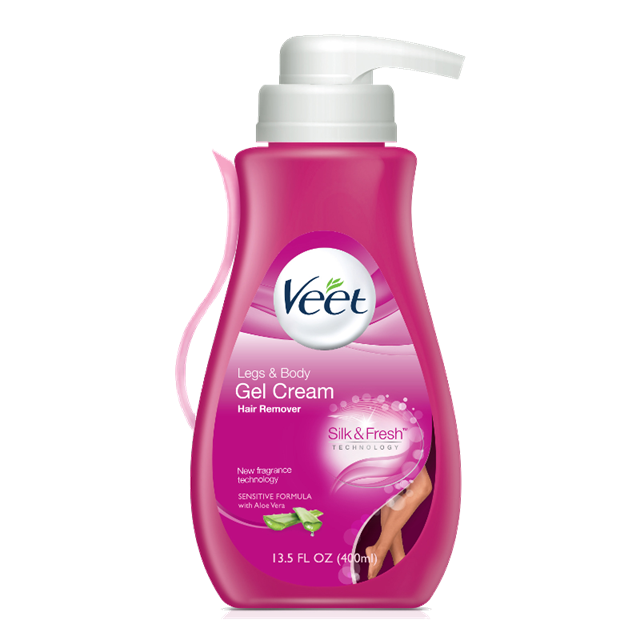 Most users found that the scent on this gel cream is significantly better than competing hair removal creams. 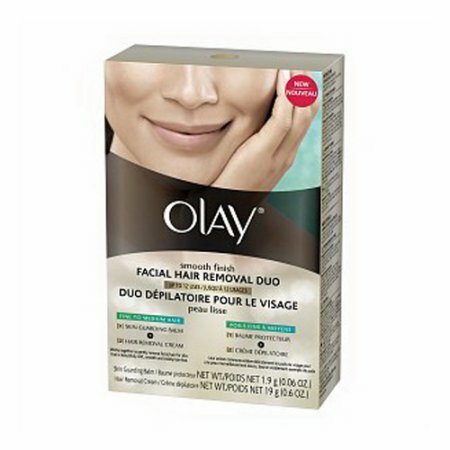 The Olay Smooth Finish Facial Hair Removal Duo features a Skin Guarding Balm and Hair Removal Cream, which work together to gently and effectively remove even the most stubborn facial hair from the upper lip, chin, cheek, and jaw areas in two easy steps. The skin guarding balm can help prepare and condition the skin, making it less prone to irritation. It is ideal for even sensitive skin, and will leave zero redness. The dermatologist tested, specially formulated two-step system offers a smooth finish, which is especially ideal for women who use hair removal treatments every week, or frequently. The entire easy-to-use system should only take 6-8 minutes to complete, leaving you with soft, smooth, and hair-free skin. These lotions & creams are not just for facial hairs in females only. Males & females with too much hairs on skin can try them all out & get amazing results. WHERE TO BUY THESE PRODUCTS??? Here in Nigeria & Africa at large, these products are mostly gotten online from good reputable online stores & mall. 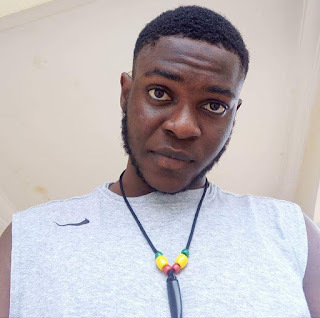 I did a quick search and found the ones made by Veet on Jumia Nigeria, you can buy them at www.jumia.com.ng/veet/. If you ain't in Nigeria, try checking on the best shops in your country's both offlinee & online. Thanks for reading, I wish you all the best.